Several weeks before Indiana’s state health commissioner Jerome Adams was nominated to replace Vivek Murthy as U.S. Surgeon General, Adams toured a detox center in Indianapolis with Justin Phillips, founder of Overdose Lifeline - a grassroots organization focused on preventing opioid deaths. “I asked him to accompany me to see first hand some of the treatment and recovery work that's being done within Indianapolis,” says Phillips . Former heroin user Kendra Williams, 24, knows she’s lucky. 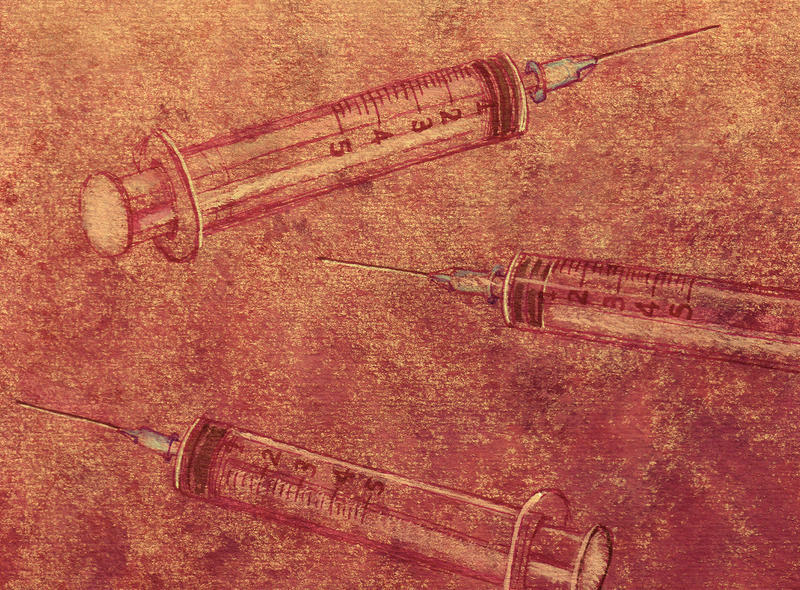 She recalls sharing dirty syringes to shoot up, risking hepatitis C and HIV. More than two years into recovery, she knows about 30 people who have died from drug overdoses — this year. Over the past five, she guesses, it’s close to 50. A bill that would give counties the ability to set up needle exchanges without first getting state approval is one step closer to becoming law. New governor Eric Holcomb promised in his State of the State address to make it easier for counties to establish syringe exchange programs and a bill moving through the legislature would make that possible. But the programs still face significant opposition from officials, and funding the programs remains the largest barrier. FAYETTEVILLE, N.C. — When Gov. Pat McCrory signed legislation in July legalizing syringe exchange programs in North Carolina, James Sizemore rejoiced. The needle exchange in Fayette County, Ind. is hidden in a back office at the health department. Paula Maupin, the county’s public health nurse, runs the exchange, which is basically just a desk with baskets of everything a drug user needs, apart from the drugs. There are syringes, cotton balls, alcohol swabs—even tourniquets. Amid fears that providing free, clean needles would promote illegal drug use, Congress passed a law prohibiting the use of federal funds to support needle exchange programs in 1988. But at the end of last year, lawmakers effectively ended that ban.